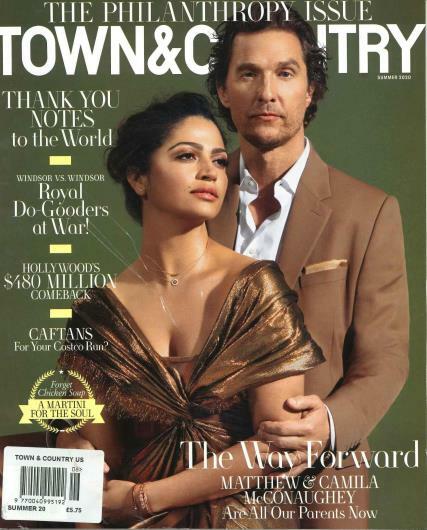 Town & Country is a lifestyle guide for the affluent market. Features focus on fashion, beauty, travel, design and architecture as well as individuals' accomplishments and contributions to society. Subscribe to Town & Country magazine delivered to The United Kingdom, The USA, Europe, The Rest of the World. Subscribe at Unique Magazines. Also a fantastic selection of Countryside and Country magazines, specialist titles and gifts to choose from. Unique Magazines, the home of Specialist Magazines.